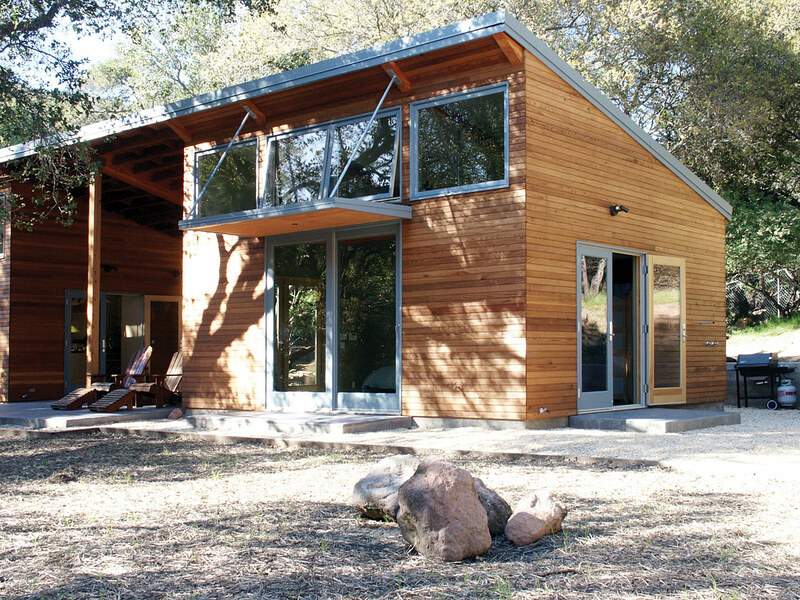 The owners of this semi-rural lot wanted a home that related to its natural setting with an open, light-filled plan that utilized sustainable materials. 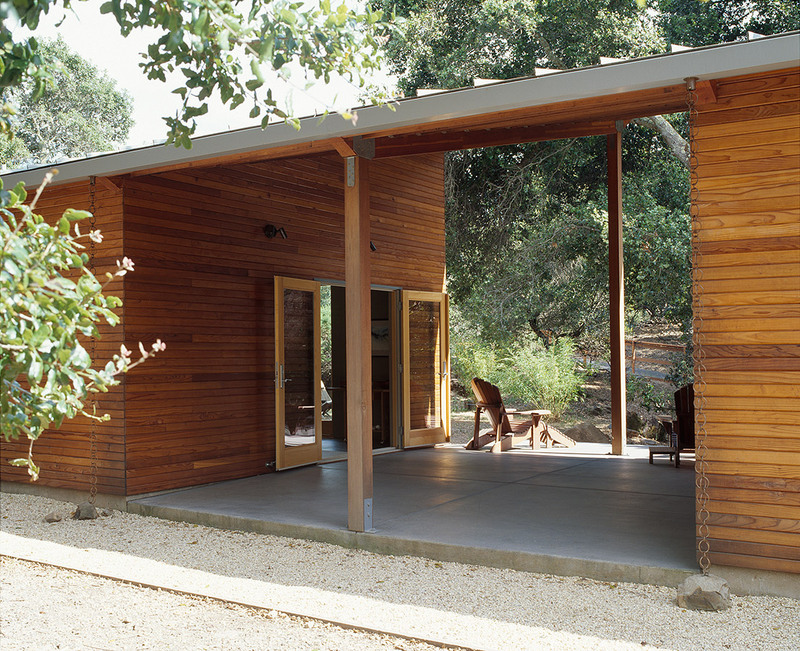 Martial arts enthusiasts, they observe a simple almost “Japanese” form of living reflected in their vision of the house. 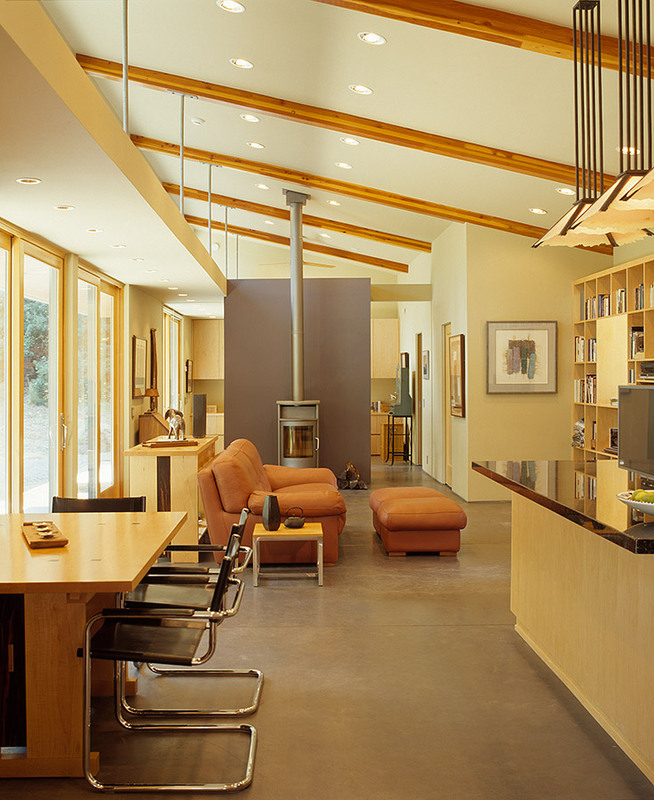 Open spaces with few walls and a strong connection to the outdoors were highly desirable. 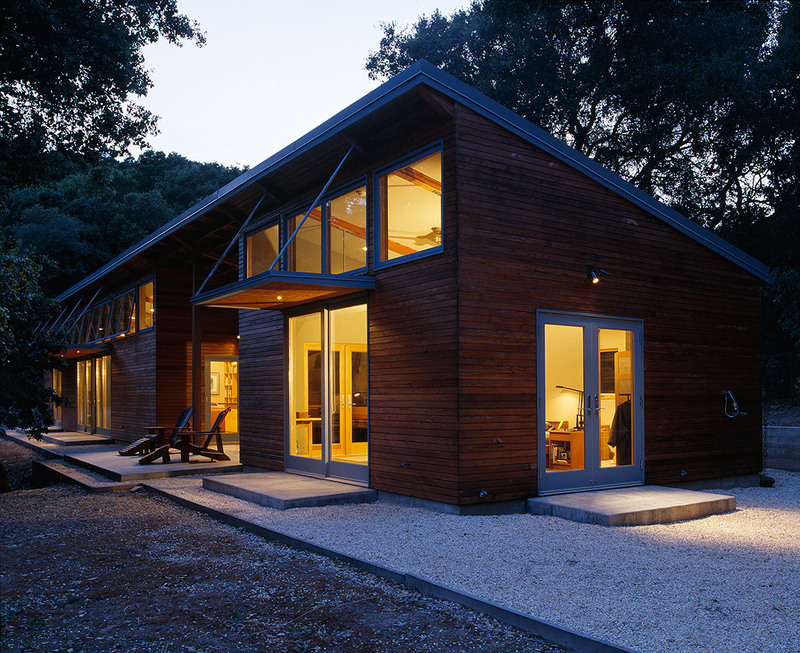 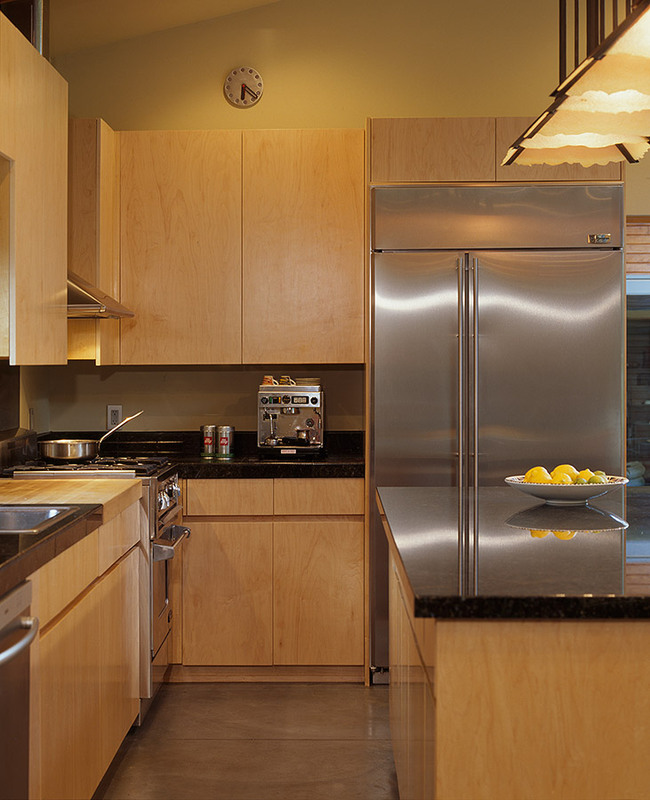 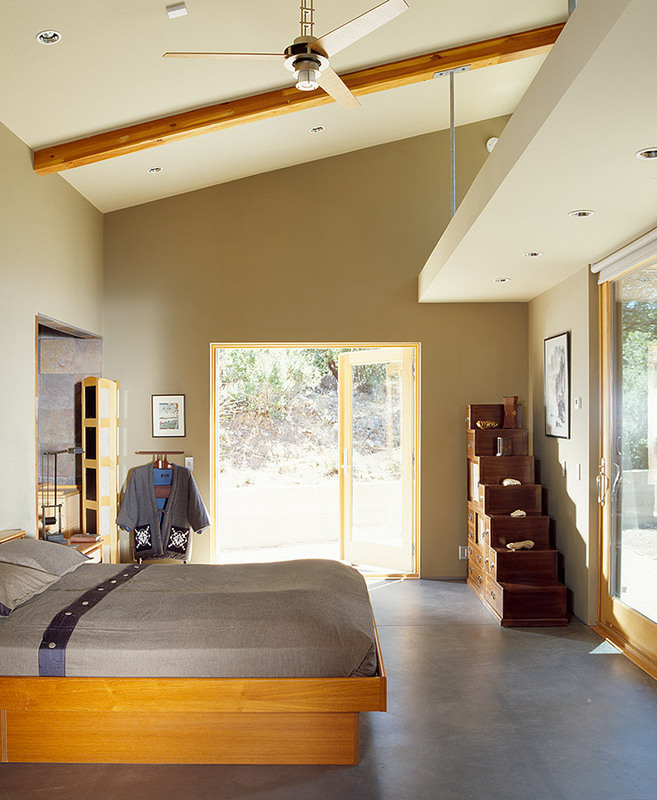 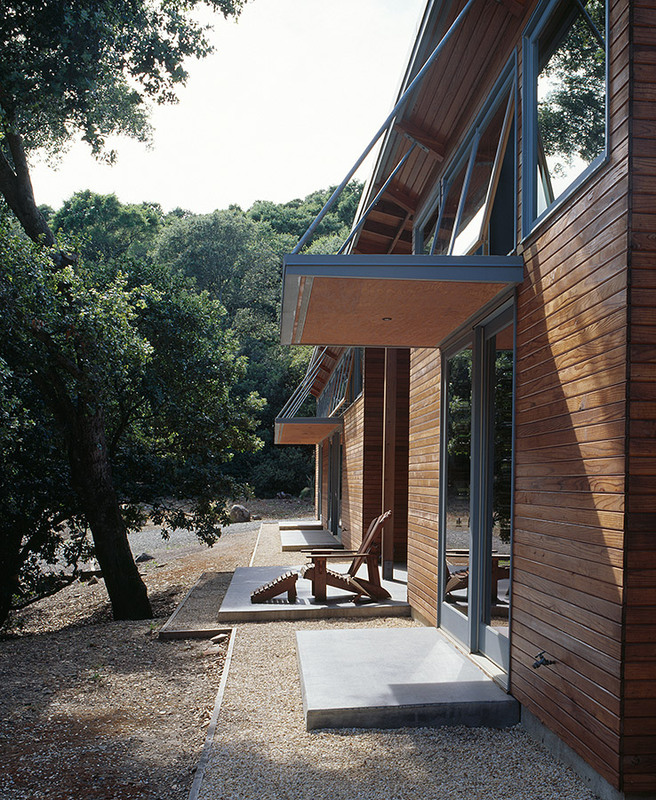 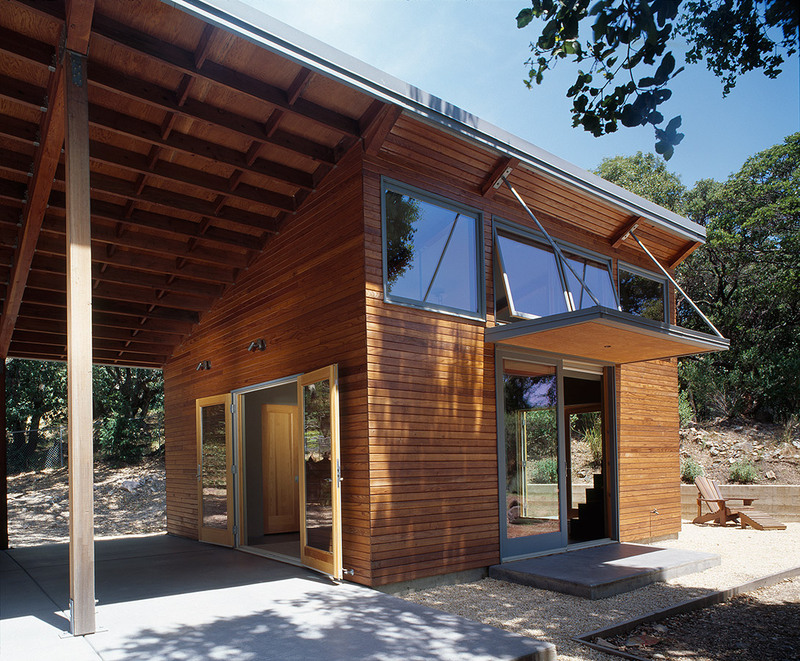 The use of sustainable materials, a manageable size with passive heating and cooling fit their concept of a zen of home.